WAS $8,995. Excellent Condition. Third Row Seat, Multi-CD Changer, Fourth Passenger Door, Rear Air, iPod/MP3 Input, U.S. News Best Minivan for the Money, ConsumerReports.org explains Our top-rated minivan..
4 Star Driver Front Crash Rating. 5 Star Driver Side Crash Rating. Child Safety Locks, Electronic Stability Control, Brake Assist, 4-Wheel ABS, 4-Wheel Disc Brakes, Tire Pressure Monitoring System Safety equipment includes Child Safety Locks Toyota LE with Silver Pine Mica exterior and Stone interior features a V6 Cylinder Engine with 266 HP at 6200 RPM*. Was $8,995. Approx. Original Base Sticker Price: $26,200*. Non-Smoker vehicle, Excellent Service History. Car and Driver Editors Choice. 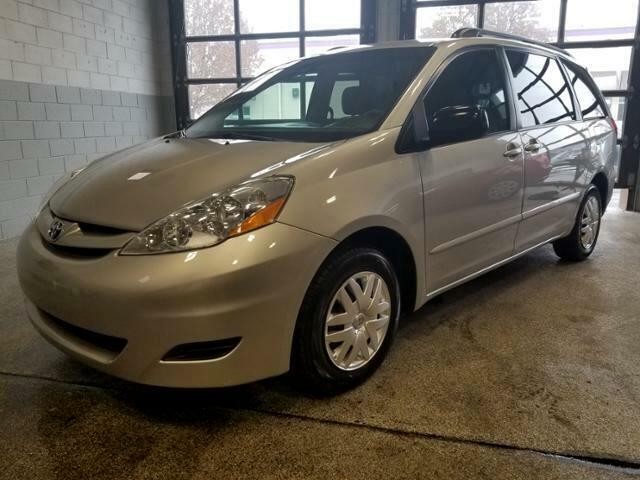 Edmunds.com's review says The Sienna has an excellent reputation for overall quality and long-term dependability, which make it a hassle-free vehicle to drive day in and day out, while contributing to peace of mind on long road trips..
Pricing analysis performed on 4/19/2019. Horsepower calculations based on trim engine configuration.